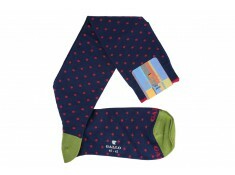 Gallo is famous for its colored socks ! 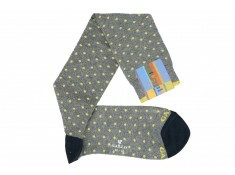 Discover our range of original cotton knee-high socks for different casual chic outfits. You will appreciate the quality of these models. Gallo make the best choice to take the best materials, to offer you an extrem comfort. 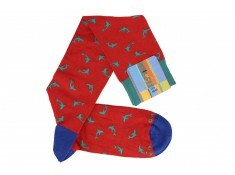 These Gallo socks are made from coton. 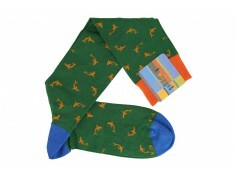 They're green with orange shark motifs, 29 euros. 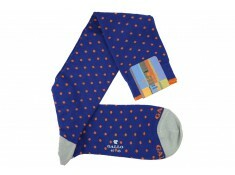 These original socks are made by Gallo in Italy. 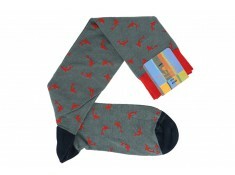 They are gray with red sharks. 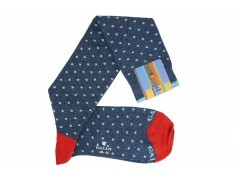 These socks are mid-calf sold for 29 euros.